Another year has flown by. So much has happened–as is usual I guess. 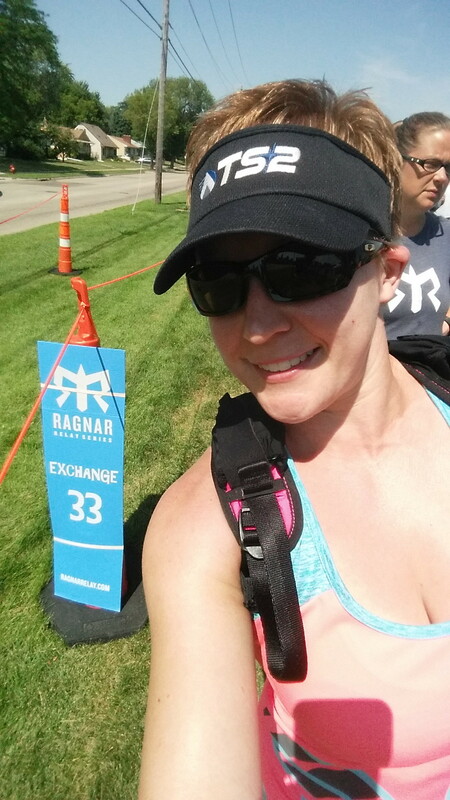 Completed my first sprint triathlon! Delivered my best friend’s twins! It was quite the year. On a more serious note, my grandfather also passed away this year. Fitness wise, I accomplished things I never thought I could. Triathlon is hard. Swimming is CRAZY hard. I realized that I super enjoy trail running and will be adding more of that to my race list for 2017. I also realized that sometimes it’s more about the journey than the race. Even though my grandfather passed away, which totally threw off my training 2 weeks before my A running race, I still showed up ran and gave a respectable finish. Here are my stats for 2016! I barely made 1k running miles this year, but considering all the other stuff I added, I’m pleased. Onward and Upward for 2017!! Blog at least once a month. I have captured a lot of my journey on Instagram and some but not a lot on Facebook, but I’d really like to have more interaction with the blog community and more of a written record of my stream of consciousness around life/training balance, lessons learned and progress made. Be able to continuously swim at least 100 yards with no break. I swam a 50 for the first time this month and I was THRILLED! It’s amazing how hard it is to do cardio when you take away free oxygen. . . Apply for the Marine Corps Marathon as my first full marathon!! It’s a lottery so we will see if it’s meant to be. Registration opens in March. Adjust to the new normal of triathlon training. This means 2 a day workouts more often than not, and learning how to fuel my body more efficiently. Don’t tell my coach, but winter is always hard on me. . I’ve gained 10 lb. I am considering this my “bulk” phase and the “cut” phase will be coming Spring 2017. Inspired by Lora at Crazy Running Girl, quit drinking soda/pop/Coke for 99% of the time. I like LaCrox, I already drink Diet Coke, so I really don’t NEED it. Meal plan and eat out less, eat more whole foods and eat more healthy snacks. Determine when I’m hungry vs bored vs thirsty. What are your goals/aspirations for 2017? I’m an extrovert. I think calling myself an “extreme extrovert” is not an exaggeration. I make friends and trust very easily. I love being around people. I love meeting new people. I thrive in the middle of the crazy .. when everything is loud, moving and out of control, I’m at my best. When stressful or bad things happen, I want to tell the story about a million times. To anyone who will listen. Once you are my people, I will do anything to be there for you. My worst nightmare? Dying alone. Hours and hours of seeing people in the ICU with multiple injuries, vented and sedated sitting alone didn’t help, but this has always been a huge fear of mine. Please, please don’t leave me alone. The thought is terrifying. Running lots and lots of miles (over 100 miles/month) is hard. It’s hard in general. It’s REALLY hard when being alone is not your favorite thing. Some days, going out to run 8-10 miles alone is the LAST thing I want to do. I’ve been known to Netflix and treadmill my long run when the weather is perfectly acceptable to be outside, just because I can’t stand the thought of being out that long by myself. I struggle with the fact I need people. I can take care of myself. I can take care of my children. I’m fairly certain I would be able to run whatever team anyone ever gave me. But when it’s just me, I long to be surrounded by my people. The whole month of June, I did a lot of miles alone. There has also been a lot going on in my life. New job, husband got a new job, my grandparent’s estate sale, etc. It’s been a really long 6ish weeks. On top of all that, both my running buddies are out of town. I ran a lot of miles alone. By the last week of the month, I was emotionally done. I didn’t want to go out. Even when the weather was perfect, I did not want to. I needed my people. I love being out on the roads or trails, but when I get to a certain point, all I want to do is run with others. So. Running as an extrovert is hard. I’m very very thankful for my running buddies Adam and Bryan that run a LOT of miles with me. And my coach Nick who puts up with my whining when all I want to do is stay in, and he pushes me to go out. I need my people, and I want to run with people around me who are happy to also be running. If you are an introvert runner, and can’t imagine running with people all the time, tell me about it! I’d love to hear it! I wanted to say “Running Things I can’t Live Without”. .but that’s a little dramatic and I seem to make do when I make it out of the house without fill-in-the-blank thing. Except a sports bra. That’s a deal breaker. Disclaimer: I bought all these with my own money and am not getting any compensation from any company for this information. This is my own honest and unbiased review. The piece of running “gear” that I feel has made the biggest impact on my training is my Garmin GPS running watch. I have the Forerunner 220 with the hard HR strap. It is an excellent middle of the road watch. It will do all the normal GPS watch functions along with the ability to create workouts in GarminConnect and download them, as well as the HR monitoring which is crucial for HR training. One of the other things I like about my 220 is the ability to set a LOT of different screen options. Some screens can have up to 3 metrics showing at a time, it’s great for data junkies (and to keep yourself distracted!). Garmin Forerunner 220 and Unbreakable Kimmy Schmidt! Next up is my FlipBelt. It is SO much better than a arm-band. SO MUCH BETTER!! It doesn’t bounce or jiggle and stays put. I keep my phone, a couple GUs and a chapstick (and sometimes my keys) and have never had a problem with it. Definitely a must if you carry your phone with you on each run! FlipBelt is in the middle of the #FlatRunner! Thirdly is my RoadID. Working as a RN for many years in both Level I Trauma Center ER and ICU, I know how important it is for first responders to be able to have accurate and easily accessible information on a patient who is unconscious. RoadID has many different kinds of hardware (bracelets, shoe fobs, etc) and they have 2 different kinds of actual IDs. The first has an online database with an 800 number to call for all information, and the 2nd is whatever you put on the band itsself (stand alone). I love the online database as it’s easy to update, thorough and easy to access. On my band, I have my name, husband’s name and phone number as well as my birthday then the 800 number/website for first responders to access my info. Each band is given a unique serial # and PIN (located on the back of the band) which the first responders have to put in to the website or give over the phone, so your personal medical info is secure and not just available to anyone. Left to right: Fitbit Charge HR, Garmin 220, RoadID, Silicon wedding band. Can you guess what my favorite color is? Lastly, a hat or a visor, sunglasses and compression socks! My go-to compression socks are from ProCompression(you can see the pink with stars in the above #FlatRunner picture). Fun, bright colors and just the right amount of squeeze. Great for racing, training and recovery. Hats/visors. . whatever your preference. I never thought I’d like wearing one to run, but they work very well at keeping the sweat out of my face. I also never knew how great it was to have RX sunglasses until about a year ago. Worth every penny of the investment. Keeps my eyes from watering and feeling so tired, even on days when it’s not super bright out! Nuun trucker hat (one of my favorites!) and my Oakley RX sunglasses. Also note the short ProCompression socks! These are a few of my favorite running gear items. What are your “cannot run without” items? #MotherRunner. One of my favorite hashtags. I have been a mother runner since I started running. For me, this means a lot of things. Foremost, that hopefully I’m setting a good example of balance, activity and healthy (for the most part) eating. It also means compromise, creativity in how I get my workouts done and flexibility when it comes to life in general. Being a mom isn’t easy. You learn very quickly that life has ceased to be about you. Since my kids were born, my life has revolved around them. This is good and bad, because it’s easy to lose a sense of who you are outside of “being a Mom”. That is your primary identity. It’s also hard to understand how taking time for yourself can actually make you a better Mom. For me, when I take time for myself, whether that’s 5 min locked in the pantry eating Oreos (balance, remember??) or 2 hours to do a long run on a Saturday morning, I’m a better mom. More patient, more tolerant, and less likely to yell or overreact to the little things, when the kids are just being kids. It also means that I get my workouts in when I can. I would have loved to be outside running my long run but no childcare meant I was on the treadmill. 10 miles of Orange is the New Black while the kids also binge watched Netflix. I have ran circles around the football fields, ran while the kids are at lacrosse practice, ran on the treadmill at the Y when childcare was closed with a kid at my feet. Any way to get it done. What dose all this mean in raising kids? Hopefully that they can see the example I’m setting and realize that you can fit things in when you want to. Also, I hope it shows them that they can do anything they want. I didn’t start running half marathons until Liam was born. I’ve always been a MotherRunner. One of the other fun things is seeing your kids want to do it with you. My daughter has done a number of “fun runs” with me. Hopefully my passion for fitness will rub off on them! Tips that I have for #MotherRuners out there? Give yourself grace. It’s okay to miss a workout every now and again. Life happens. Take your kids with you/include them!! Whether it’s taking them in the stroller, letting them ride their bike and “pace” you, or them sitting and reading homework to you while you are on the treadmill, include them if you can. Meal plan. When I meal plan, and we all know what’s for supper and that the ingredients are easily accessible, meals come together quickly and then you can either work out before or after and not feel bad about it, and not feed your family takeout all the time. Find someone to run with. Even thought I love to listen to Serial, AnotherMotherRunner, or music, sometimes I need a running buddy to keep me motivated! Enjoy the ride. Don’t let running/training take over so much that it becomes another chore/activity to get to. If it’s stressing you out. .stop doing it! Maybe see if you can find an alternate activity (like a lunch class at your local gym). Don’t let something that started out for you turn out to be another task to complete. I’m in the final weeks of my training plan for the Monumental Half Marathon. The last big build cycle over the last 3 weeks has been intense. Hill repeats. I repeat. . hill repeats. Speed work. Lots and lots and lots of miles. I will have ran over 125 miles this month. This week alone, I ran 40 miles. I did my long run on the treadmill, and finally gave in to all those friends who have said I need to watch Orange is the New Black. It was chilly, pouring rain, and I was on my own, so I just didn’t have it in me to run outside. Today, I went out and absolutly rocked my 3 miler (which was probably supposed to be an “easy run”). Even on super tired legs, I was under 30 min. And in the correct HR zone. I love love fall running weather!! I thought I was ready for bed last night, and after I laid down, all I could think about was the race. 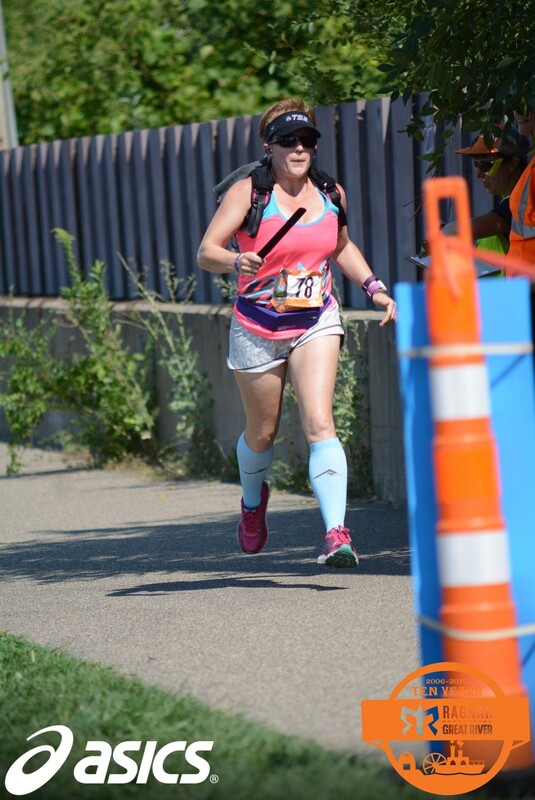 Pacing, fueling, would I PR, what would the weather be like, what on earth am I going to wear, etc.. etc. . etc. My goal is to be faster than I was the last time. My last half this spring was 2:07:12. I’d love to be sub-2, but at this point, I will be happy with sub 2:05. The head game is real. Getting to this point in training all you think about is that you can’t wait for it to just be OVER. Race day seems like too close and so far away all at the same time. It’s scary to think about how you’ve put in all this time and effort for one day. Some days you don’t think you want to run. You don’t think you have it in you to put your damn shoes on ONE MORE TMIE and go run. But you do. I’m ready and not ready all at the same time. Physically, I’ve felt pretty good. I made the mistake of stopping my vitamins a few weeks ago when I ran out, and I couldn’t figure out why I felt like I couldn’t breathe and was craving molasses and kale. I started taking my multivitamin with iron again 2 weeks ago and I feel SO much better. No more shortness of breath and eating molasses out of the jar! I’ve also been taking some epsom salts baths with essential oils after my long runs, and I feel like that has helped as well. All in all, I am ready to rock the Monumental Half Marathon on Nov 7th. I know all the time and effort and miles will pay off in 2 weeks!! Training. . it’s supposed to be hard. The hard is what makes you great. A Year of TS2 Coaching. I’ve known Nick for quite a while. Over 5 years. I knew him as the brother of our babysitter that I was SO lucky to find when I started working 5 days a week. He approached me and said “You really should consider letting me train you so you don’t hurt yourself going back into running.” Well, okay. Seemed like a good idea for a short-term plan to not injure myself. A year later, I’m still training! It’s been a year of crazy. A year of family chaos, loss, stress, anxiety, change, and grief. I have used running as a coping mechanism a LOT. I’ve ran when I was sad, angry, frustrated, happy, anxious, nervous, scared, and excited. I’ve ran when it was stupid cold, stupid hot, raining, snowing, sunny, humid. and everything in between. I’ve just RAN. Running has become the new normal. More so than anything, I have ran to keep something in my life consistent. 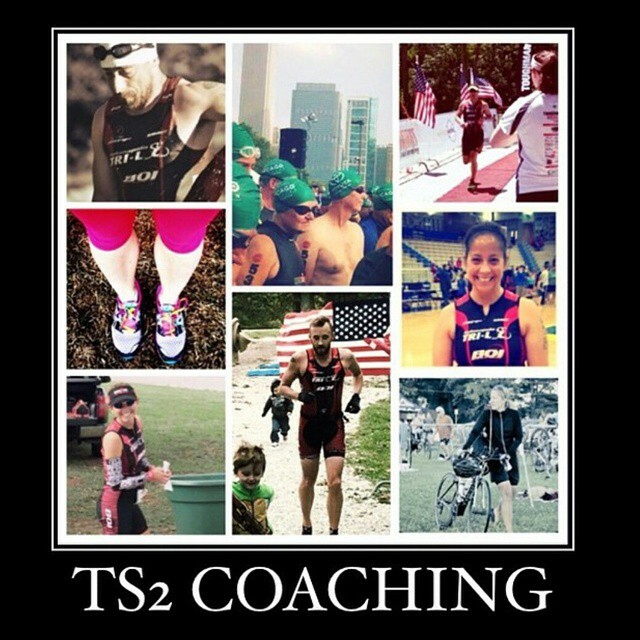 I consider myself part of the TS2 team and family, even if we don’t all run together, or do the same sports (they also coach triathletes). I love having accountability. It’s much harder for me to move stuff around or not do a workout when I know Nick is watching for it to pop up on Garmin. I enjoy following my teammates’ successes and know the time, effort and work they have put in to get those results. It’s also great to know there are others doing the same kind of workouts that you are, and it’s encouraging to see how far they have come and think that you are part of a really awesome group of athletes. It’s been more than coaching. It’s been mentoring, partnership, friendship, and love/hate. Nick pushes me farther than I’d ever think I could. Hundred-mile-plus months. Forty plus mile weeks. Sub 9 min miles. Hill workouts. A 25 min PR. These are all things I have accomplished in the last year with the help and support of TS2, and Nick. Some days it’s super hard to make time to get the workout done. Some days my legs are angry. Some days I want to run FAST, to de-stress and just RUN and not think about heart rate intervals, how far I have to go, how long it’s going to take. But I know there is a reason behind the plan, and I know the successes I’ve had are because I follow the plan. I put in the work, and I see the results. I’m humbled by the fact that six years ago after my son was born, it took me over 40 min to run 2.5 miles. I can run 3 miles now easily under 30 min. I’m faster than I’ve ever been. And that is because I have ran the plan. Trusted what was given me. Believed in myself and given something that I truly love to do into someone else’s hands to tell me how to execute. I have learned so much about myself and what is really important, and I have learned that when you get to a place where you can give up some control, awesome things can happen. My One Little Word for 2015 has been Believe. Believe you can. Believe you will. Believe that you did. Trust yourself. Trust others. Don’t give up. Believe. I can’t wait to see what the next year holds. Thanks so much, Nick, for believing in me, pushing me, listening to me and being a great coach, mentor, friend, confidant, and cheerleader. I’m so lucky to be a part of TS2 Coaching. What is Ragnar you ask? 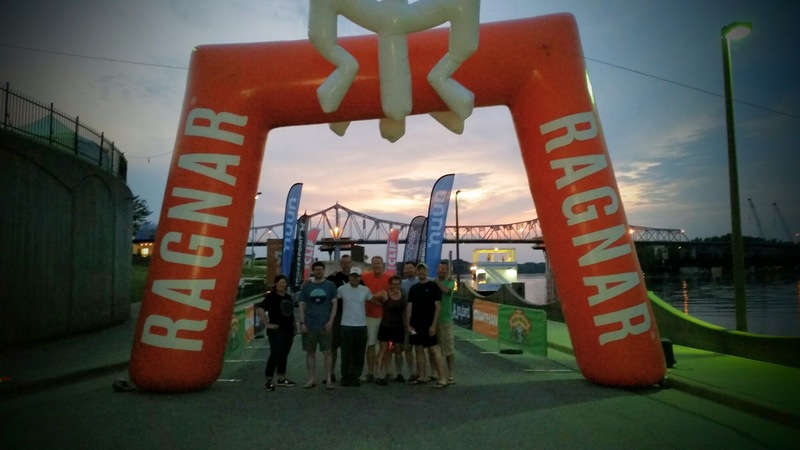 Ragnar Relay is an overnight running relay event. You have a team of either 12 or 6 (if you are super extra crazy) people who split up into 2 vans (for the 12 person teams) and run 200ish miles from Point A to Point B over approximately 24-36 hours. Fun right?! 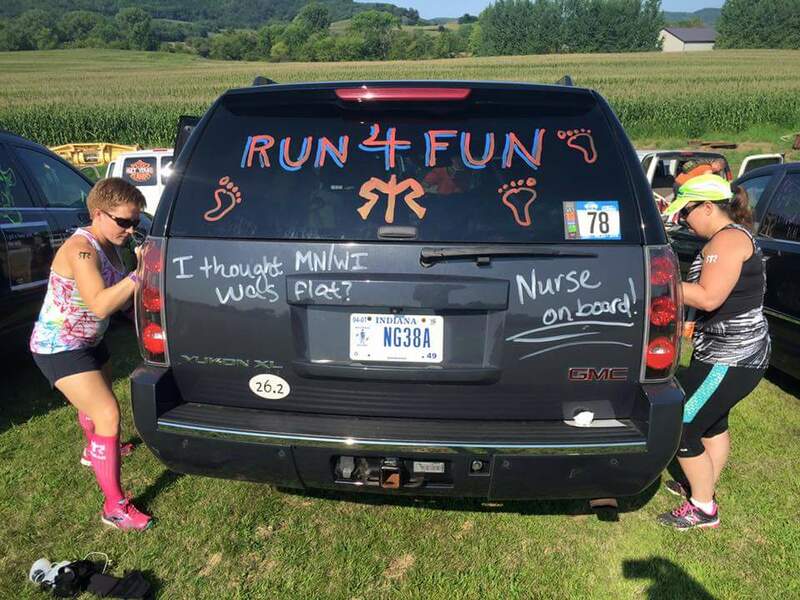 So last year, I found an AWESOME team from Chicago who had a spot for 1 runner on their Ragnar team. I was so excited! And then injury struck. Ah well. 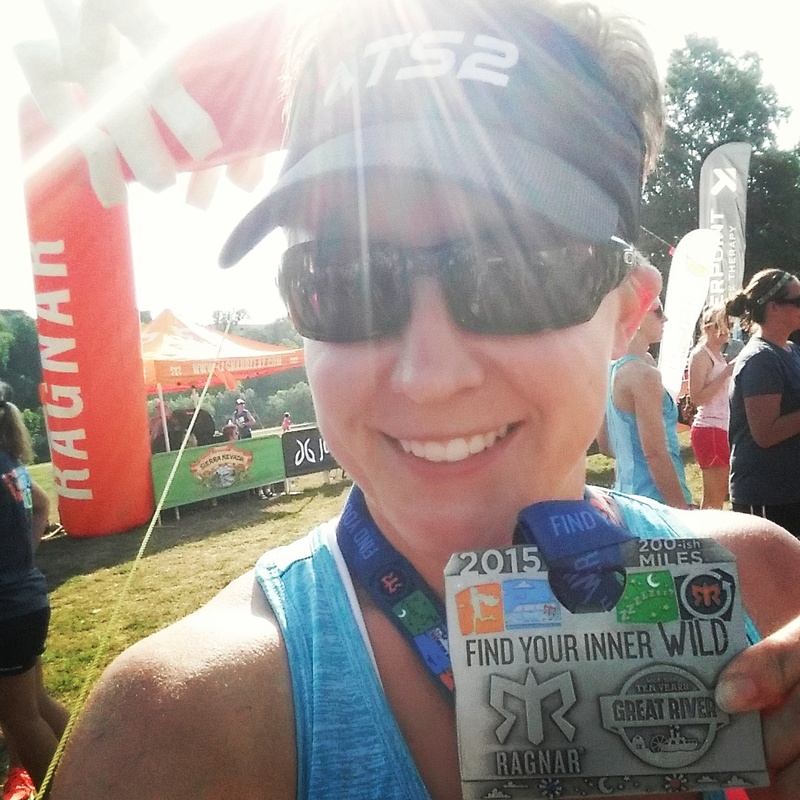 This year, I put myself as “available” on the Ragnar site. I figured why not! Bryan reached out to me about 2 months before the race. .. I was thrilled! Perfect timing, as I didn’t have anything to look forward to after the Mini Marathon. We corresponded via email a few times and text message closer to the race, but other than that, I didn’t know anyone on the team with me. Fast forward to race weekend. I took Thursday and Friday off work, as we had to drive up on Thursday, and our start time was 5AM Friday (NOT me, thank goodness). I met Bryan and most of the rest of the team at his house on the northeast side of Indy, and got in a van with 8 people I had never met before to drive 8 hrs and run 200 miles. As I’ve told this story, some people look at me with their eyes bugging out. . but really it was great. Now that I look back on it; it could have been really bad. . what if there was someone in there that I just couldn’t STAND to be stuck with for 36 hours?! The good news: It’s only 36 hours and I would have never had to see them again. The REALLY good new is that totally didn’t happen and I got to meet some really awesome people. Also . .6 dudes, 2 girls. Andrea and I got along great and I was very glad to have another girl along for the ride! If you don’t want to read my (pretty long!) race recap, you can watch this awesome YouTube video put together by my teammate Mitch. Winona MN is 491.5 miles from Indianapolis. That’s about 7.5 hours. . and we had to stop in Chicago and pick up another runner at Midway. We left Indy at 11AM, and arrived in Winona at right around 7:50pm. (We had an hour in our favor when going from IN to IL with time zones too). We literally made it right at the end of the safety briefing time. Also. . we may have run out of gas, and had to push the Yukon XL about a half mile to a gas station. Team building, right? Night before the race! We all look so eager!! The way the race works is that you split up into 2 vans, and switch off (if you have 12ish people). 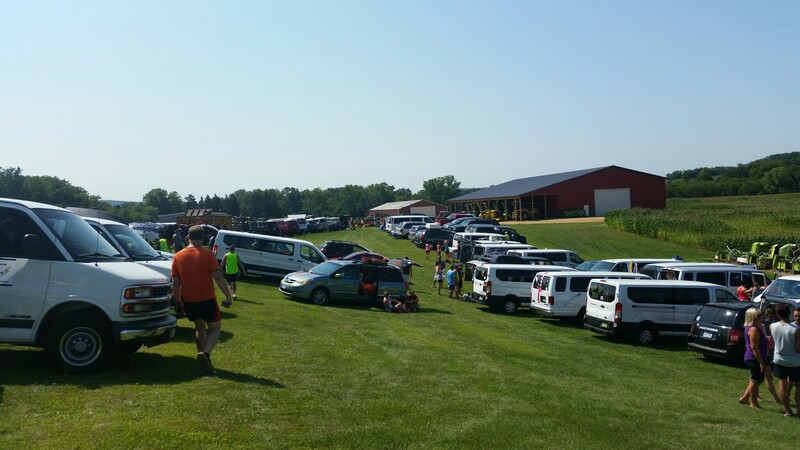 If you are an Ultra team, then you have one van/SUV that runs the whole time. THIS I think would be crazy. Rest time when you are cramming so many miles into a short amount of time was much needed (at least for me). Van 1 started at 5AM on Friday. We asked for an early start time, as our average pace was going to be around 11 min/miles so we wanted to be sure to finish in enough time to enjoy the post-race party. My van had a late start, so we had time to get breakfast at the hotel, and make it to the first major exchange with time to decorate our Yukon! At a equipment dealership and basic general store in the middle of nowhere! Team Name: Run4Fun. All kinds of good stuff. The first van came into the exchange, handed off the 80’s era day glo orange slap bracelet and Andrea was on her way! By the time it was FINALLY my turn to run my leg, I was SO ready to go. My first leg was my longest, and hardest. 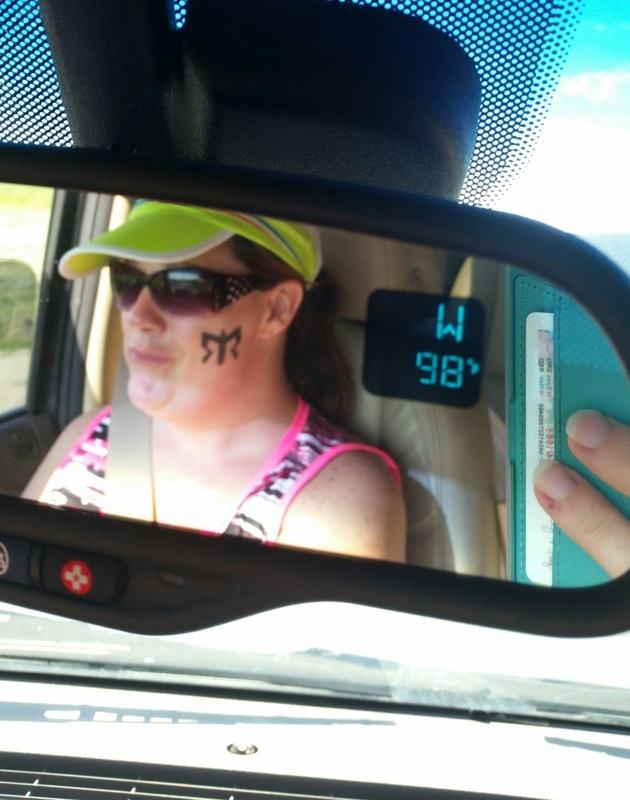 It also happened that it was 98ish degrees with a heat index of 100+. It was 8 miles, and it took me FOREVER. I had taken gels and water, and there were 3 water stops on the route, but it was just SO hot. I walked a lot. . even more than my walk/run intervals. I couldn’t get my HR down at all. Even walking was putting me over my range. At the 2nd water stop, the girl was like “take some ice and put it in your bra”. I thought “duh, why didn’t I think of this!” As a nurse, we put ice packs on people’s groin/neck/armpits to cool them off, and what I needed was to get my core temp down. After the ice in the bra, taking off my shirt and throwing it to another van (for real . .I told them my team # and REALLY hoped I’d get it back as it was my very fave running shirt), I negative split the last 4 miles. Also, I drank 50ish ounces of water. I filled my bottle up twice, and it was full when I went out. And I still didn’t have to pee when I got done. Obviously I had no idea how difficult this run was going to be! We ran our legs, and finished up around 630pm. We had reserved a hotel for the middle of the race to share between the 2 vans, about halfway between the 2 major exchanges that were happening at night/early AM. Best. Thing. Ever. Shower, an actual bed to sleep for a couple hours, and peaceful downtime. I didn’t realize how really great this was until I saw lots of people asleep at the early AM exchange on the tennis courts, football field, grass (chiggers, people, CHIGGERS!!) at the local high school. This was probably the best extra $ spent all weekend, I would highly recommend this! My 2nd leg was in the middle of the night. It was a nice 5 miles of city running. It was still VERY humid, but much cooler. My pace was almost 2 min faster per mile. Some of my teammates had great country road running which somehow I missed out on. HOWEVER they also had climbs of 500+ feet vertical gain, so I’m not sad I missed that(see #1 below). The night runs required headlamp, reflective vest and blinky tail light. Lots of blinking lights to follow, so that made it easier to make sure we were going the right way! My 3rd leg was almost all downhill, and crossed and followed the Mississippi River. GREAT views. As I was coming up on the river, a bald eagle came from the left, crossed over in front of me and went down towards the water. Beautiful. Note I don’t look quite as eager as I did for Leg 1. 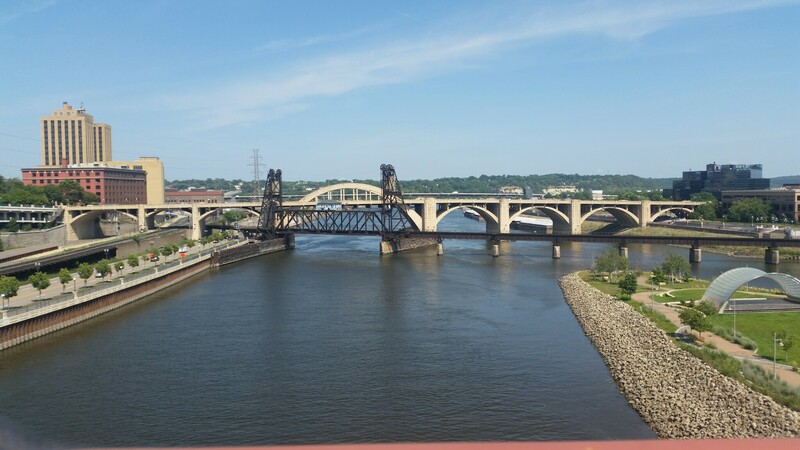 Crossing over the river for the final time in Minneapolis. When you come in to the finish, the team all gets to join your runner and cross together!! Super fun. Also, one free beer, and it was Sierra Nevada. I chose the Oktoberfest, and it was excellent. This team was really awesome to run with! An adventure for sure. Ragnar is quite the experience. Once again, I have learned that I’m much more capable than I believed myself to be in the beginning. I ended up running almost 20 miles over the course of the 36 hours! It made me realize that a full marathon isn’t that far out of reach (did I just say that OUT LOUD?!). I would totally do this again. It was fun to do with people I’d never met before, and I can guarantee it would be a BLAST if you did it with people you knew (just make sure you are fine with being in VERY close quarters with them for 36+hrs!!). I was the navigator for most of the time (sort of default when you’re the one who needs to sit in the front or be carsick) and I LOVED it. My Dad would be proud of my map and direction abilities! Lots of hills (and a couple of named mountains!! I had no idea that MN/WI was SO HILLY. Small town=not as many places to stop and get ice/snacks as you’d think. It was better the 2nd half of the race (and I LOVED running thru the country!!) but we had a moment where we were worried we’d run out of water before we could fill up the cooler. The heat. Wisconsin had 3 days of 90+ degree weather so far for 2015. 2 of those days, we were running in. Heat indexes were over 100 most of the mid-day running hours. Really really hot. And humid. Weee midwest weather! Otherwise the whole experience was awesome. Would you do a relay race with people you’d never met before? 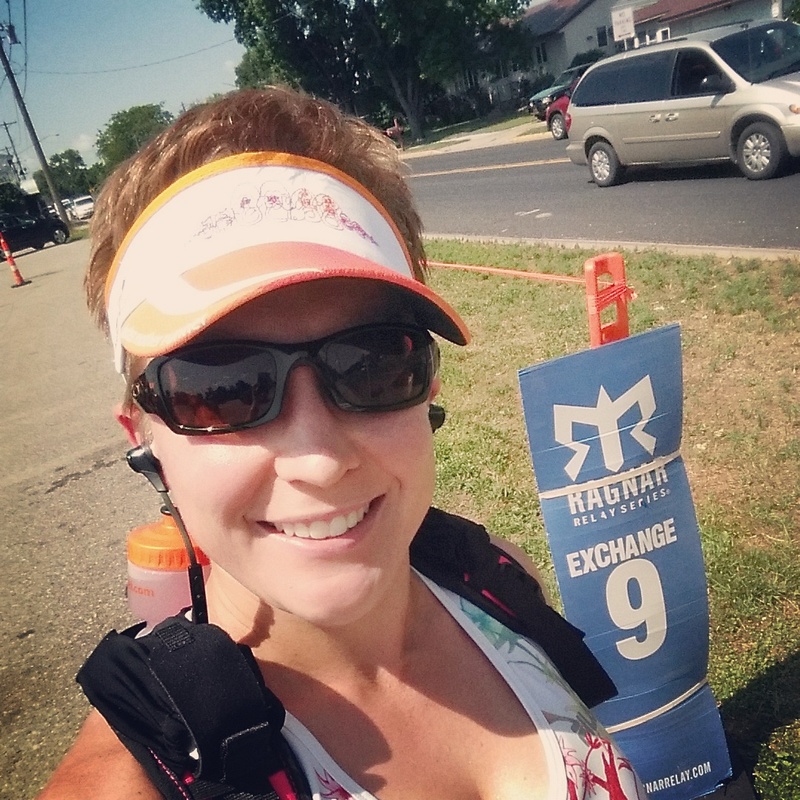 When applications opened in the fall for the 2015 Nuunbassador program, I rushed to apply. I have been using and following Nuun, and have been really impressed with the way they market, engage and encourage the entire fitness community, not just elite athletes. 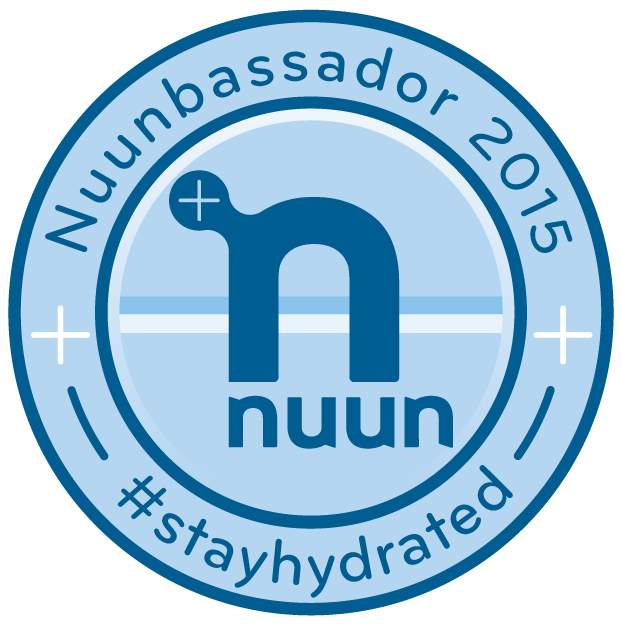 I am VERY EXCITED to say. . .I was selected to be a Nuunbassador for 2015!! I’m hoping to volunteer at races, run in their gear(!) 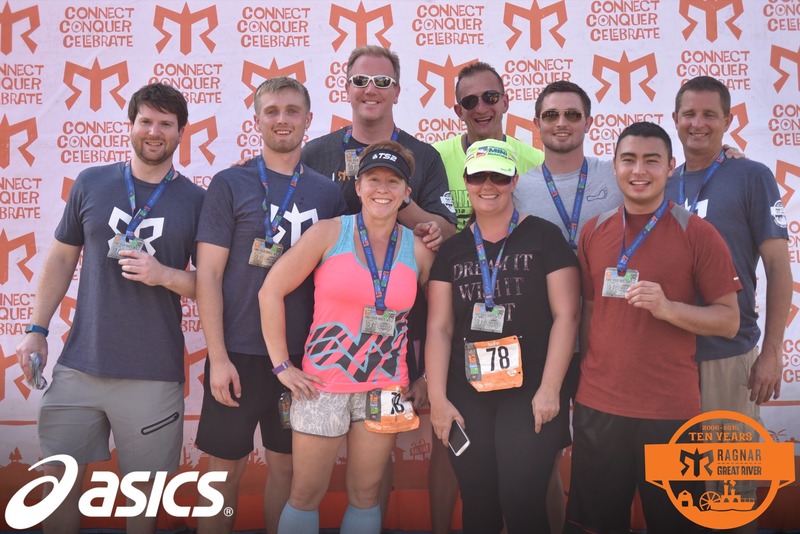 and maybe even run in a Ragnar with the Nuun team! Here’s to a GREAT beginning for 2015. Hoping for big things and injury-free running! !